3. Filter, buffer, decompose, and detoxify organic and inorganic materials. Let’s explore how humans are impacting these vital ecosystem services, what those impacts mean for human safety, food security and health, and what we can do to reduce the impacts on our soils. Erosion: One of the more common problems that arise when humans use soil resources is erosion. Erosion occurs when the typical structure of the soil breaks down, causing the top layers of soil to become easily moved. Once the soil structure is lost, wind and water can easily transport loose soil to new areas. Erosion is a natural process, but human impacts on soil structure from agriculture, forestry, and development have rapidly accelerated natural rates of erosion. Figure 9.2: Average annual soil erosion on cropland in the U.S. by wind and water. Soil erosion, particularly from wind, results in literally tons of topsoil loss from croplands in Montana every year. Figure 9.3: Average annual erosion on cropland in Montana. Compaction: Soil compaction occurs when a heavy weight on a soil surface causes the soil to compact and loose its pore space. Figure 9.4: Compacted soil has less pore space than non-compacted soil. Heavy rains, tilling of surface soil layers, infrequent crop rotation, heavy machinery, cars, buildings, and roads can all result in soil compaction. Soil compaction changes the amount of air, water, and surface area for organisms in the soil to move and grow. This often reduces the biological activity, nutrient and soil cycling, and filtering capacity of soils. 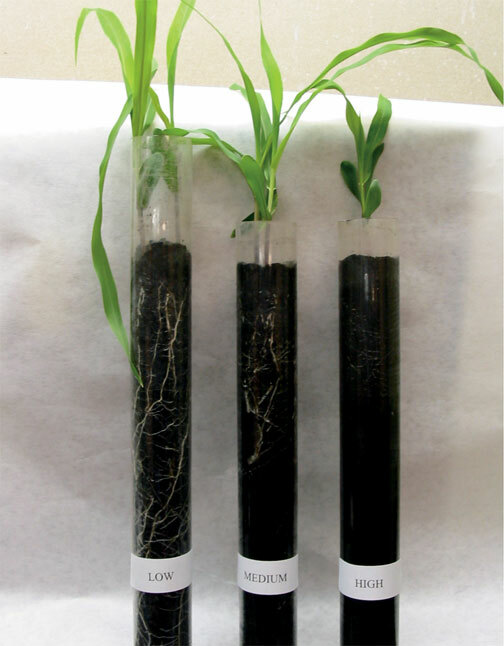 Figure 9.5: Effect of soil compaction on root growth at three different soil bulk densities: Low, 0.7 g/cm3; Medium, 1.1 g/cm3; High, 1.6 g/cm3 (Stephanie Nelson, Honors Program project). Pollution: Pollution refers to any substances that cause harm to humans. Most often we are concerned with chemical forms of pollution, which have serious impacts when deposited in or on our soils. Soil pollutants are numerous – metals and acid deposits from mining, paints, dyes, detergents, and solvents produced during manufacturing, petroleum products from oil and gas development, pesticides and herbicides used in agriculture… the list goes on and on. 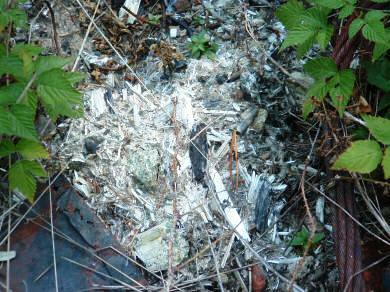 Unfortunately, there are many examples of soil pollution throughout the world, including in Montana. Most of the Superfund and Brownfield areas the Environmental Protection Agency (EPA) has declared to be contaminated with pollution include soil contamination. One example of this is the Karst Mine and associated mining stockpiles near Big Sky, Montana, which produced a form of asbestos called Karstolite. Like the Amphibole and Tremolite-Actinolite asbestos in Libby, Montana, exposure to Karstolite asbestos can cause deadly lung ailments. The Montana Department of Environmental Quality has successfully removed asbestos ore from soils at the Montana Rail Link Asbestos site in Gallatin Gateway, and what is now the home of the Bozeman Public Library. Figure 9.6: Asbestos ore from the Karst mine. Why Are Human Impacts on Soils Bad for Humans? All of the human impacts on soils mentioned above can produce problems for humans. Erosion loosens soils and forms dust, leading to allergies, crop loss, desertification, and the spread of noxious weeds that thrive in disturbed areas. 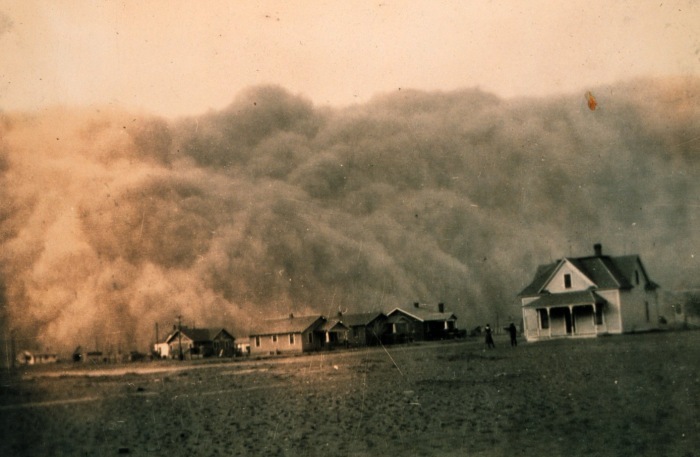 Figure 9.7: In this photo from the NOAA Photo Library, a dust storm approaches Stratford, Texas during the Dust Bowl of America’s Great Plains in the 1930′s. The loss of topsoil devastated the region’s agricultural economy and had serious health impacts on area residents. 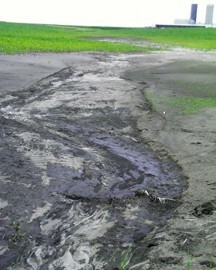 Figure 9.8: Soil erosion creates channels of water and moves loose soil across agricultural fields. This leads to crop losses and damage to roads, fences, buildings and machinery. Wind and flooding can move large amounts of disturbed soils, leading to soil subsidence and landslides. This is a particular concern on steep slopes (landslides) or in areas with carbonate rock deposits (sinkholes). 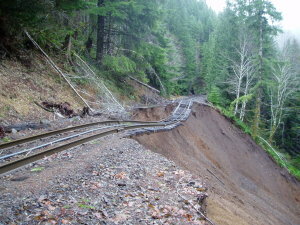 Figure 9.9: Erosion along train tracks in Oregon following a severe windstorm in 2007. 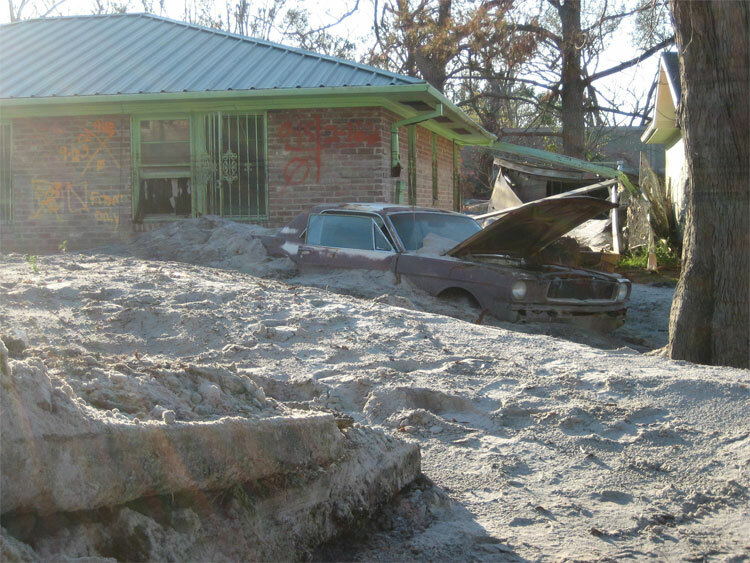 Figure 9.10: Silt deposits around a house and car in New Orleans left by flooding after Hurricane Katrina. What Can You Do To Prevent Human Impacts on Soils? 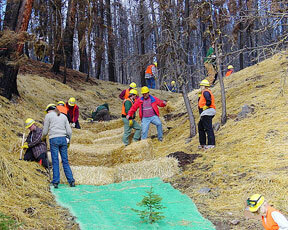 Figure 9.11: Volunteers and NRCS employees apply erosion control netting, construct straw check dams, and use straw mulching to reduce erosion in this small, ephemeral drainage that was severely burned in the Bitterroot Valley during 2000. Fortunately, there are many different solutions to address the myriad human impacts on our soils. Erosion and soil compaction can be reduced through low-impact agricultural practices (reduced or no-tillage, use of cover crops and intercropping, erosion control structures, etc. ), reducing the conversion of soils to developed roads and buildings, and low-impact forestry practices (low road density, fewer or smaller clear cuts, revegetation with native plants). Personally, you can reduce erosion and soil compaction at your home and school through well-maintained small roads and driveways, planting native vegetation, and properly planning and fully considering the potential impact of newer or larger buildings. Each of us can help reduce pollution by using fewer fertilizers, pesticides, chemicals and manufactured products in our schools and homes. Preventing new impacts on our soils is critical, but in some cases we need to restore impacted soils as well. In Montana we have some excellent examples of restoration of healthy soil structure, such as erosion control in forests impacted by fires and cleanup of polluted soils in the Clark Fork River remediation and restoration. To discuss the ways in which humans impact soils, and what you can do to prevent human impacts to soils, visit the Forum: Impacts on Soils, or leave a comment below to get feedback from the MSP team.